At the Tuscaloosa dental office of David A. Scott, DMD, we understand the impact tooth loss can have on a person’s self-esteem. Dr. Scott is highly trained and experienced in the placement and restoration of dental implants for patients that require replacement for one or more missing teeth. Our practice provides quality crowns, bridges, and fixed dentures in Tuscaloosa and the surrounding communities. First, Dr. Scott assesses your existing oral health, taking digital x-rays to visualize the jawbone and surrounding tissue. If you have lost any volume in the supporting bone, he may include bone grafting in your treatment plan. The next step is the placement of the implant posts, which mimic tooth roots and create a secure hold for the restorations. Once the posts have integrated sufficiently, Dr. Scott will top them with suitably durable and attractive restorations, based off precise impressions of your teeth. Our dentist works with trusted local labs to create an ideal dental replacement. Our Tuscaloosa practice offers a wide selection of materials, including zirconia, porcelain and e.max, to meet your unique needs and preferences. 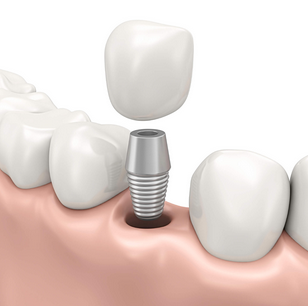 There is no better method of replacing lost teeth than dental implants. These have become the industry standard not only for the aesthetic appeal and stable bite they promote, but because they prevent bone resorption (bone loss) and the appearance of premature aging, as well. All of the above options provide our patients with restored appearance and function. In addition, we provide restorations to finish the innovative All-on-4 approach for bridges and dentures. Dental implants are designed to replicate your complete tooth structure. Compare this with other replacement choices, like traditional dentures, which cannot provide patients with a wholly stable bite and are known to slip out of place while speaking and eating. 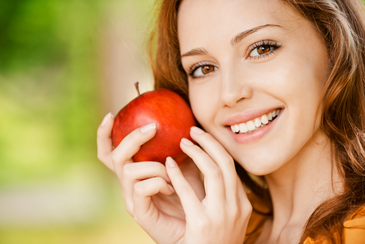 If you are unable to enjoy your favorite foods or avoid smiling openly due to missing teeth, Dr. Scott wants to help. When you are ready to know more about our dental implant services for patients in Tuscaloosa and throughout the neighboring region, call us today!